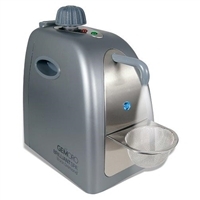 Ideal for hygienically cleaning watches, jewellery, glasses, dentures and braces. Glentle cleaning process, high cleaning frequency (40 kHz), stainless steel tank. 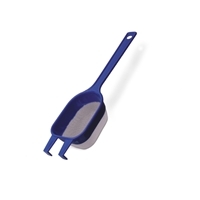 Includes fine meshed basket. 600 ml capacity. 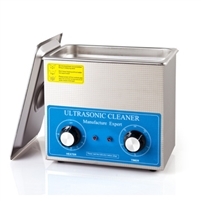 3 Quart Ultrasonic Cleaner with Heater. 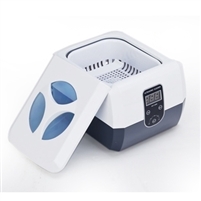 Adjustable Heater: 20degree C - 80degree C.
Adjustable Timer: 1 - 20 Minutes. 40 kHz Frequency, 110V, 120W. 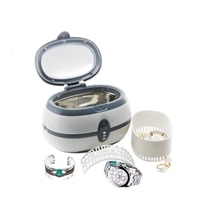 heater will set temperature from 30 to 85 ºC.Stainless steel cover. Interior dimensions of tank: 6"L x 5-1/3"W x 4"D.